Lisa Peterson, a spokesperson for the American Kennel Club, concurs: No car rides after meals. Peterson weighed in with 10 additional rules for feeding your dog. Some dogs are like vacuum cleaners. Walk them and you’ll notice: any scraps of food (or discarded chewing gum, cigarette butts, etc.) go straight from the sidewalk into their mouths. "You need to be able to step in and remove food from a dog when it’s necessary for safety’s sake," says Peterson. In order to help your dog tolerate your behavior, it’s necessary from puppy-hood to train your dog to let its food go. Feed your puppy, and then remove the food after a few bites. Replace the dish and remove it again. 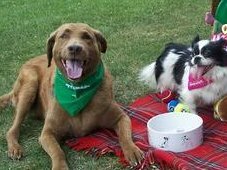 You can train your older dog in the same manner, giving it a reward for sitting calmly until you replace the food. If you’ve got multiple dogs, the older dog will most likely want to be treated like the king of the castle. 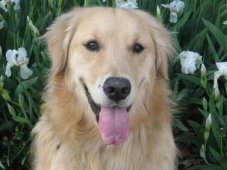 "I tell people with an older dog to feed the dogs separately until the puppy is a year or so," says Peterson. "The puppy should be trained to eat food in his crate." The puppy needs to learn its place and this feeding style will facilitate the process. While you may not be tempted to pull your furry friend’s tail during dinner, your toddler or young child might. "Parents need to be aware that children shouldn’t be near the dog when it’s eating," says Peterson. The child may jar the dog or get in its face. This can lead to a dog choking, gagging or simply becoming frustrated enough to lash out at the child – not a safe situation for your dog or your toddler. Your dog should not have a walk right after a meal. Peterson advises waiting at least 15 to 30 minutes after feeding to exercise your dog. "Just a little time to digest," she says. This is important for all dogs, but especially crucial for deep-chested dogs such as German Shepherds, Great Danes, Boxers and Dachshunds, all of who are prone to bloating, a dangerous condition that can have severe health consequences. A begging pooch can be hard to resist (that sweet face, those sad eyes), but your dog doesn’t know how dangerous the meal you’re eating can be. Grapes, raisins, chocolate and onions: each of these can be toxic to your dog in large enough quantities. Sometimes excessive fat in meats or dairy products can cause digestive distress. Given that it’s hard to know how your dog will react to people food, the best rule to follow, says Peterson, is no table scraps whatsoever. 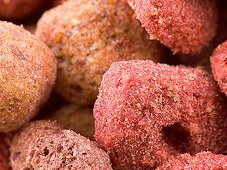 Commercial dog foods are prepared with the right amount of calories and the necessary combinations of vitamins, minerals and proteins. Achieving that combination yourself is unlikely. Dogs are carnivores. Their bodies are made to assimilate protein. Says Peterson, "Prepared kibble or canned food is balanced nutrition." 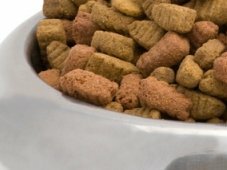 Trying to save money on your pet’s food? Don’t do it by mixing a high quality dog food with a lower quality one. Often, premium foods are packed with nutrients and require less food to be fed, making them a good buy. Casual observation has demonstrated that dogs prefer ceramic bowls, followed by stainless steel. Plastic bowls are too easy to chew, especially for puppies, likely to gnaw on anything in sight. The bowl should not be a part of your dog’s meal. Plastic dishes can also harbor bacteria and retain odors, leading to allergic reactions, or even your dog’s rejection of its food. Too many treats will lead to unhealthy excess pounds. Too many vitamins can also have unintended consequences. Ask your veterinarian about whether your dog needs any extras before starting it on a regimen of supplements. Jun 29, 2017 admin Comments Off on Can Dog Food Protect Your Pet?